PDC bit: by grinding and cutting in order to achieve the effect of drilling, usually used in high hardness of grinding formation. Standard: API Spec 7 Nominal diameter (in): 4" ~ 17 1/2" Formation: from extremely soft to Medium Hard API REG. pin size (in): 2 3/8", 2 7/8", 3 1/2", 4 1/2", 6 5/8"
126 127 0.35~0.9 150~70 Soft formations with low compressive strength and high drillability,such as mudstone,gypsum,salt,salt,soft shale,soft limstone,etc. 246 247 0.4~1.0 80~50 Medium hard formations with high compressive strength,such as abrasive shale,limestone,sandstone,dolomite,hadr gypsum,marble,etc. 517 527 0.5~1.0 140~60 Soft formations with low compressive strength ang high drillability such as mudstone,gypsum,salt,soft shale,soft limestone,etc. Our Company Dongying Zhaoxin Industry and Trade Co. Dongying Zhaoxin Industry and Trade Co. Contact Victoria Business Unit Dongying Zhaoxin Industrial and Trade Co.
Q3. About lead time and shipping time9 A: The lead time depend on quantity of order. According the distance from china to your port, usually from China to European about 25 days. Q5. What is your payment terms and method9 A: Our payment terms: normally 30% deposit, balance 70% before shipment. They are usually designed for use in soft formations such as sand, clay, or some soft rock. Drag bits are made according to API standard or NROD thread standard or others. . Different drag bits can be made according to your drawings or samples. This design provides a fast drilling rate and added cutting structure durability in medium to medium hard for mations. 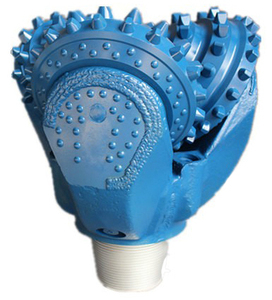 3.Hard formation tricone bit The hard formation TCI tricone bits can be used to drill hard and abrasive formations. 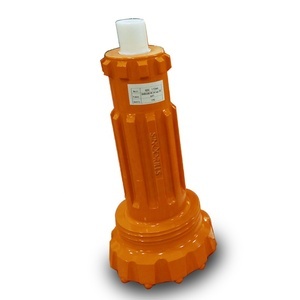 This design provides a fast drilling rate and added cutting structure durability in medium to medium hard formations. 211 0.35~0.95 180~80 Medium formations with high compressive strength ,such as medium soft shale, hard gypsum, medium soft limestone, medium soft sandstone, soft formation with harder interbeds, etc. 241 0.35~0.95 180~70 Medium hard formations with high compressive strength, such as abrasive shale, limestone, sandstone, dolomite, hard gypsum, marble etc. 321 0.4~1.0 150~70 Hard semi-abrasive formations with high compressive strength, such as abrasive shale, limestone, sandstone, dolomite, hard gypsum, marble etc. 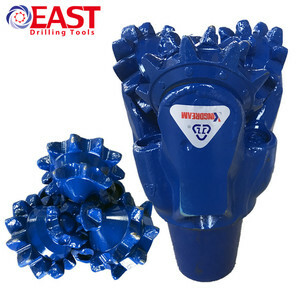 Alibaba.com offers 5,647 rock drill bits 2 products. About 65% of these are mining machinery parts, 24% are drill bit, and 5% are construction machinery parts. A wide variety of rock drill bits 2 options are available to you, such as drill bit, drill shank, and reamer. 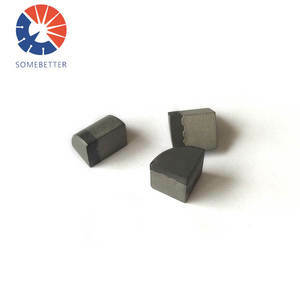 You can also choose from carbon steel, carbide, and high manganese steel. 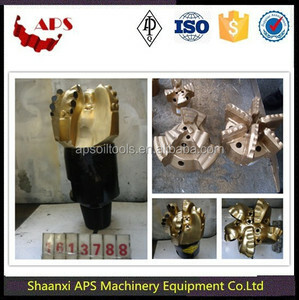 As well as from drilling tool, drilling equipment. 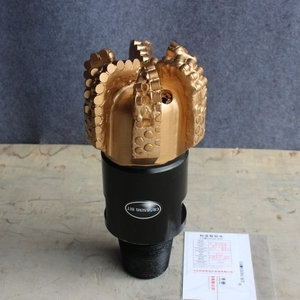 And whether rock drill bits 2 is ore mining, well drilling, or coal mining. There are 5,647 rock drill bits 2 suppliers, mainly located in Asia. The top supplying country is China (Mainland), which supply 100% of rock drill bits 2 respectively. 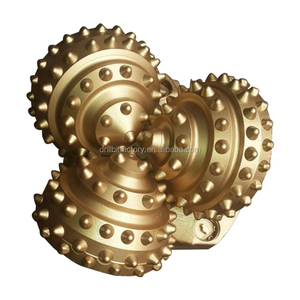 Rock drill bits 2 products are most popular in North America, Domestic Market, and Mid East. You can ensure product safety by selecting from certified suppliers, including 2,353 with ISO9001, 1,980 with Other, and 409 with OHSAS18001 certification.